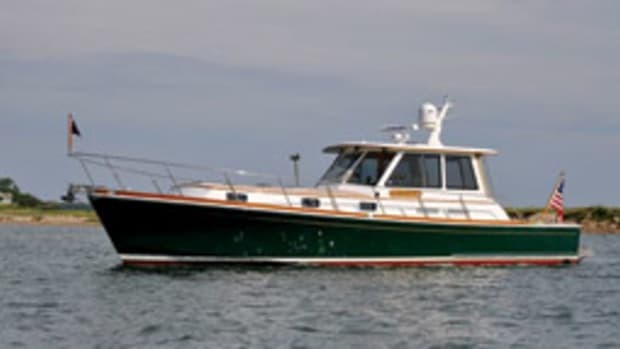 The Europa rode the same semidisplacement hull as the original, but the look was more contemporary, and an extended saloon replaced the aft cabin, capped by a hardtop that covered the cockpit and side decks. 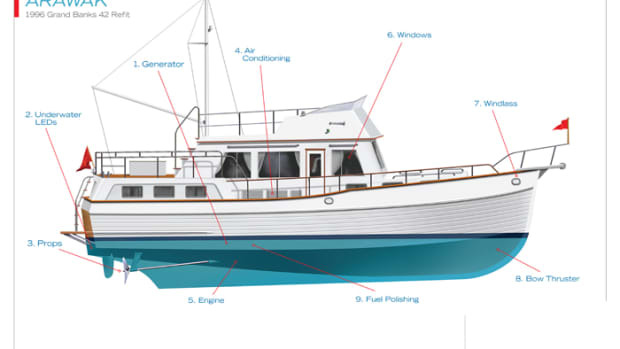 The boat was first built in wood for the European market, hence the Europa name. 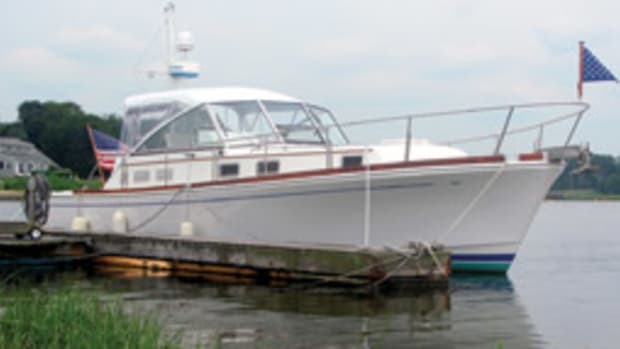 Introduced in the United States in 1979, the fiberglass 42 Europa was in production for a quarter century (with a brief halt). 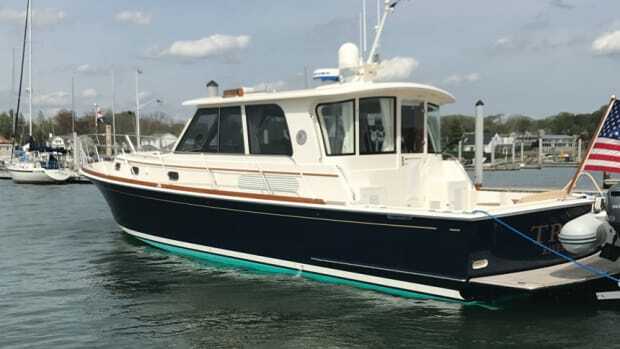 There was plenty of room on board this well-built cruiser. 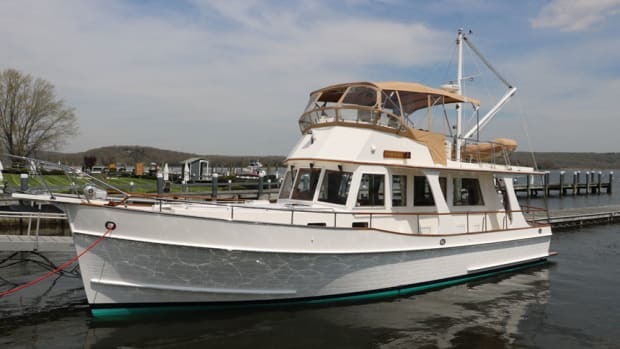 The big flybridge had helm and companion seats forward and space for a table and chairs or an L-shaped lounge aft. 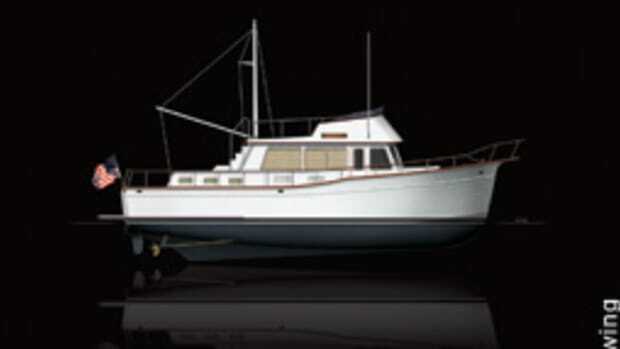 A dinghy could be stowed on the extended hardtop. The saloon, accessed through sliding doors aft, had Grand Banks’ trademark parquet sole and satin-varnished teak. 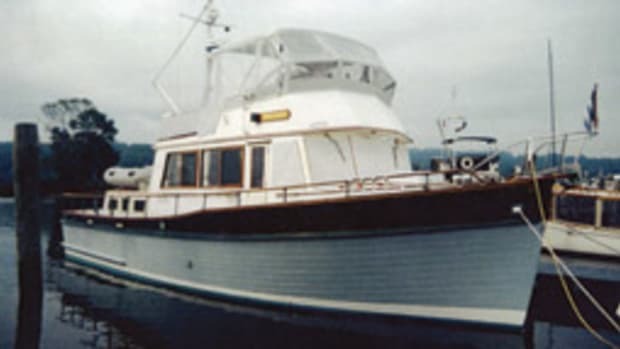 Chairs, a drop-leaf table and an L-shaped lounge made for a comfortable living space, which stretched from the lower helm to the cockpit on a single level. The galley-up was forward to port, the helm to starboard. The boat’s two staterooms were forward, down three steps. 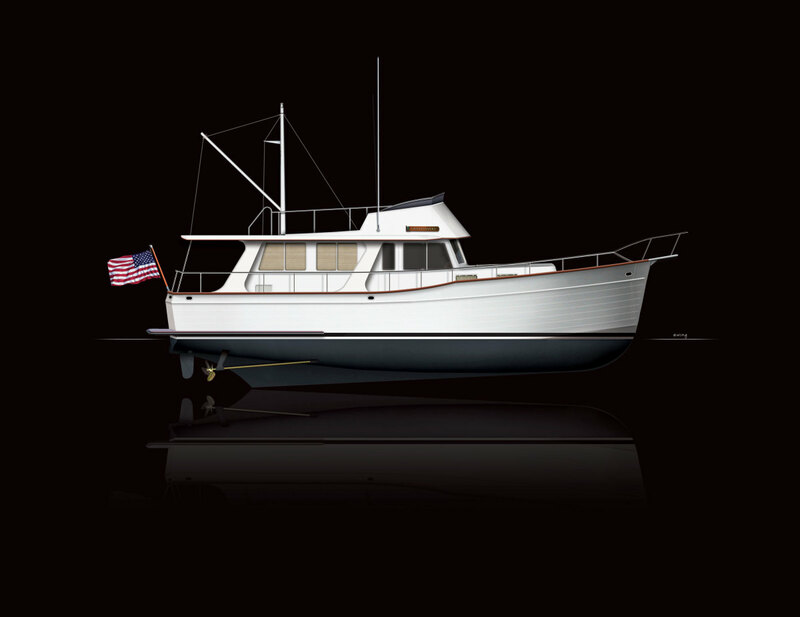 The master had a queen-size berth, and teak joinery added a classic touch. The guest stateroom was set up with either twin berths or a double berth. In the shared head compartment were a VacuFlush marine head, a Corian counter with a molded sink and a stall shower.